Managing Partners Insurance (MPI) is an independent insurance agency representing many different insurance companies. This enables us to provide you with the most cost effective policy to meet your needs. Located in Lemoyne, we service most of the East Coast from Pennsylvania to Florida. This enables us to take care of your secondary or vacation homes or other business locations. Our goal is to provide you with the best personal service, not some service center, along with competitive pricing and the right coverages. At MPI you become an important part of our client community and will get the personalized treatment you deserve. Congratulations to Tina Wright for being spotlighted in Harrisburg Magazine's July 2018 Issue for Dymanic Women in Business. Click on the link to review the full Article. Tina is a licensed Insurance Agent in Property and Casualty and Life and Health. She has been with Managing Partners Insurance since 2005. Tina was recently spotlighted in the Harrisburg Magazine's July 2018 Issue for Dynamic Women in Business. See the Link to read the full article. In addition to Commercial Lines Agent, she is the office administrator and helps to keep day to day operations running smooth. Tina previously worked at Pinnacle Health Hospital for 17 years in the health industry as an administrative assistant for the director of the infant development program. Tina was born and raised in central PA and is actively involved in her children’s sports programs. She enjoys going to sporting events, boating and kayaking. She has always held a position of responsibility whether it is as a volunteer or in her career. Tina provides a great foundation for the office. Meredith is a Licenced Insurance Agent in Property and Casualty in both Personal and Commercial Lines. She has been with Managing Partners Insurance since 2014. Originally lincensed in 1998 in Health and Life with JC Penny Life Insurance Company in the Scranton PA area, she now lives in the Central Pennsylvania area with her husband. Meredith previously worked in Management and sales for Avon Products Inc., she brings great energy to the office. She is unique in her ability to maximize on internet research. Her attention to detail has been a great addition to a strong team. She enjoys cooking and crafts and volunteers in the community. She is currently finishing her Bachelors degree at Colorado Technical University for Psychology: With a concentration in Consumer Behavior. Meredith has been a great addition to the office with her management background, sales background and her ability to connect with clients. 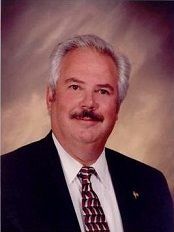 Ray is a licensed Agent/Broker and the Principal of Managing Partners Insurance. He started his career in Insurance in 1981 and founded Managing Partners Insurance in 1993. He and the agency are fully licensed in the Property/Casualty and Life and Health Business. Ray has the ability to analyze his client’s needs and offers the best coverages based on their unique circumstances. His commitment is to exceed his customer’s expectations of customer satisfaction by providing strong personal attention to each and everyone every day. Ray has also been involved with the construction industry for over 40 years. This has been an incredible asset to understanding the construction values to properties. Ray was born and raised in Central PA, where he still resides with his family. He has been actively involved in his community serving in many organizations both as a member and board member throughout the region. His commitment to give back to the community, to meet the needs of his clients and build an agency that is unmatched in the industry has been his life’s mission and one that he has achieved successfully. Ray provides a great environment for his employees to excel and in turn they provide a great opportunity for clients to get the best customer satisfaction. Amanda is a licensed personal lines agent. She started with Managing Partners Insurance 2017 and has been a great addition to the team. She lives in South Central Pennsylvania with her family and enjoys movies, cooking and spending time with her friends and family. She bring a great energy to the team and offers great customer service to her clients.